Bullets, bombs, and banknotes. The US Diplomatic Security Service is anything but another day at the office. 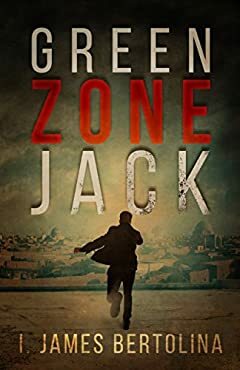 Just back from a deep cover assignment and looking forward to a vacation, DSS special agent Payton Ladd gets an urgent request to lead a manhunt in Baghdad. Civilian auditor Ben Ater, nephew of a powerful senator, has disappeared, and the Resident Security Officer needs Payton to find him. The fact that the RSO is Paytonâ€™s old flame Catherine McCabe makes it hard for him to say no. Once in Baghdad, Payton retraces Benâ€™s steps and talks to everyone who knows or claims to know why the young auditor mysteriously left the Green Zone. But the explanation that Ben was dealing drugs still doesnâ€™t explain why he went missing in the Red Zone, a place he had no businessâ€”legal or illegalâ€”being. As he continues to dig, Payton uncovers more pieces of Benâ€™s puzzle that donâ€™t fit. He also provokes influential people, like the civilian head of the multinational corporation Titan United and the military head of the contractor program for the US Defense Department in Iraq. When some individuals Payton has interviewed end up dead and North Korean counterfeit â€œsupernotesâ€ appear all over Iraq, he is convinced Ben wasnâ€™t kidnapped over anything as simple as a drug deal. With the help of embassy guard Marines, a team of special operators, DSS bomb specialists, Bedouin tribesmen, and a homemade drone, Payton uncovers a web of conspiracy that could topple nations.